The alleged victim was 65 years old or older at the time of the assault. If you are charged or anticipate being charged with Assault on an Elderly Person, contact a Jacksonville Florida Criminal Defense Attorney. A Jacksonville Florida Criminal Defense Lawyer will look out for your best interest and into any possible defense that you may have to the assault charge. In Jacksonville, Florida, if a Battery is committed upon a person that is 65 years old or older, this is battery on an elderly person. Battery on a person 65 years old or older is a felony. As a felony, it is punishable by incarceration in the Florida State Prison and can result in a felony conviction on your criminal record. Florida Statutes Section 784.08. 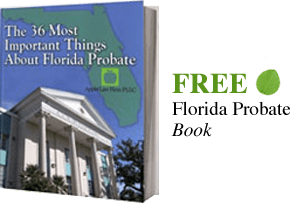 If you are under investigation for battery on an elderly person or have been arrested for this crime in Jacksonville, Florida or the surrounding areas, you should contact a Jacksonville Florida Criminal Defense Attorney. The sooner you hire a Jacksonville Florida Criminal Defense Lawyer, the better. Your criminal defense attorney will start working right away on your case by looking for any defenses you may have to the battery charge. Your criminal defense lawyer can also negotiate with the prosecutor to resolve the case in your best interest.